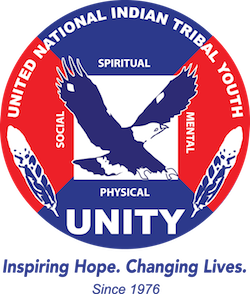 UNITY youth receives Woman to Watch award in North Carolina – UNITY, Inc.
“Receiving this award was something very exciting for me. Knowing what this award symbolizes, that I am an indigenous women on my way to being one of the greatest American Indian women in NC is a great honor for me and also being one of the youngest women to have received this award. My duties as Miss Indian North Carolina is something I do not take lightly, and I believe that throughout my reign I make numerous efforts to represent my people and be an advocate for me people. So when I found out that I was receiving this award it certainly showed me that I am on the right path as Miss Indian North Carolina and I am making my people proud, which is more than I could ever ask for,” said Dial-Stanley. Mary Kim Titla, UNITY’s Executive Director, pictured with Miss Indian North Carolina Raven-Dial Stanley, recently served as a keynote speaker at the American Indian Women of Proud Nations Conference. Dial-Stanley’s mother Nora Dial, a UNITY alumna, received the 2018 Distinguished Women Award at the same conference. Mary Kim Titla, UNITY’s Executive Director, served as a keynote speaker at the conference.